valid quote containing conceptual drawings, mechanical drawings, a proposed approach, and a detailed specification page. 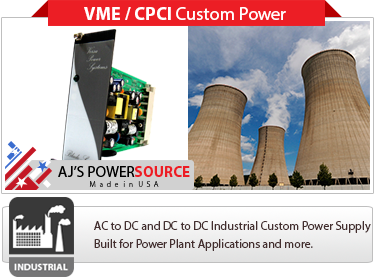 Industrial Custom Power Supply Designs to meet IEEE, UL, TUV and CE Standards. 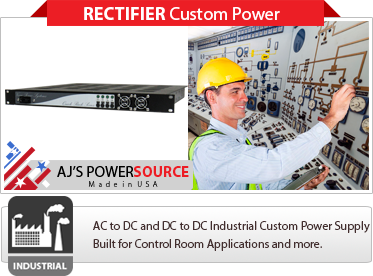 AJ’s Power Source Inc. is a custom power supply manufacturer above and beyond our Industrial-STD SeriesTM Product Line. 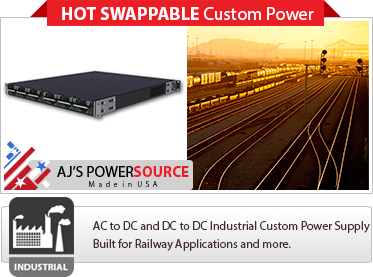 We have many partners in the power supply industry, and look to remain a leading edge supplier of Industrial Custom Power Supply, Industrial Custom AC DC Power Supply, Industrial Custom DC DC Power Supply, Industrial Custom DC AC Power Supply and Industrial Custom Inverter Power Supply. AJPS will then have multiple meetings with the engineering team to fulfill all power needs. AJPS will provide a projected schedule of prototyping to finalization of finished product to meet the customers full design timeframe. We realize every Industrial Custom Power Supply need is different in nature and we look forward to working on your requirement. 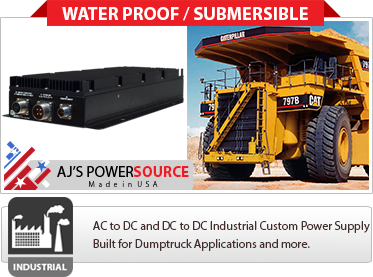 Industrial Custom Power Supply Built for Industrial Vehicles, Power Plants, Energy, Automation, Road Signage, Mining and Industrial Equipment Applications. 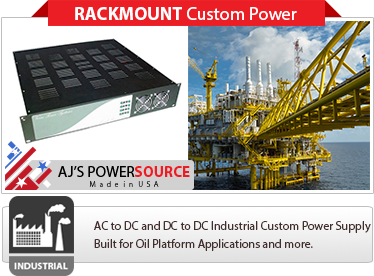 AJPS’s has been supplying high end Industrial Custom Power Supply solutions for over 25 years. All of AJPS’s operations are monitored and controlled by an ISO 9001:2000 based quality systems. Designed to meet the Industrial Standards . 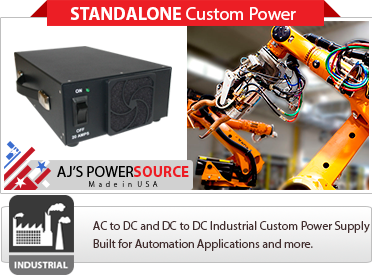 We are capable of providing unique Industrial Custom Power Supply solutions including modifications to all our Industrial-STD SeriesTM Product Line.